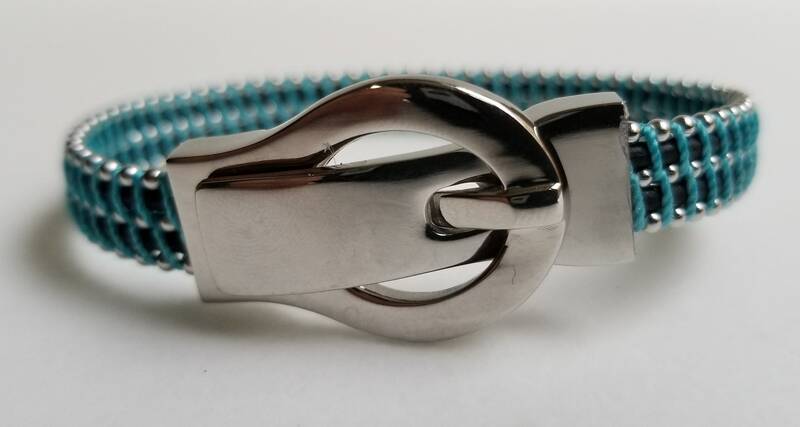 Black Leather Cord accented with turquoise color thread and stainless steel chain. It measures 1/2" with . 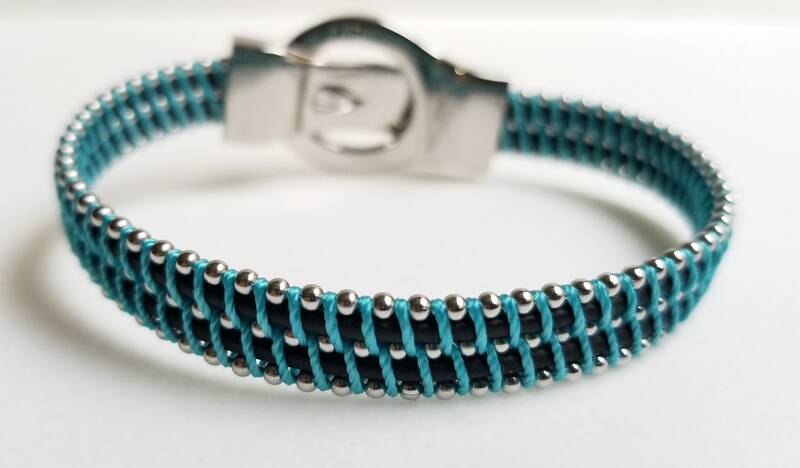 This bracelet fits a wrist size 7 and it can be made longer or smaller.